Hunting during winter can be quite stressful, especially when you don’t have the right gear to keep you warm. You might want to consider getting yourself a high-quality base layer that will help you survive the extreme weather. Having a proper layering technique will also enable you to maintain your body’s heat. It also offers protection against the snow and cold air. The best base layer for cold weather hunting should also be able to wick moisture away from your body. You, however, should keep in mind that there are tons of these products in the market, and choosing one might prove to be a daunting task. That is why we will review the best base layer for cold weather hunting in this article to give you an easier time in the market. If you are looking to keep yourself warm in the hunting field this coming winter, you might want to go with the Smartwool Men's NTS Mid 250 Crew. This base layer is made of 100 percent Merino wool to enhance its qualities as a high-performance clothing. Knitted in Vietnam, this warm clothing has a flatlock seam construction that eradicates chafing. Furthermore, its comfort is enhanced by its shoulder panels because they eliminate top shoulder seams. The wool it is made from enhances its qualities during winter hunting seasons because it resists odors, wicks moisture, and it breaths. These qualities leave you feeling comfortable throughout your hunting. 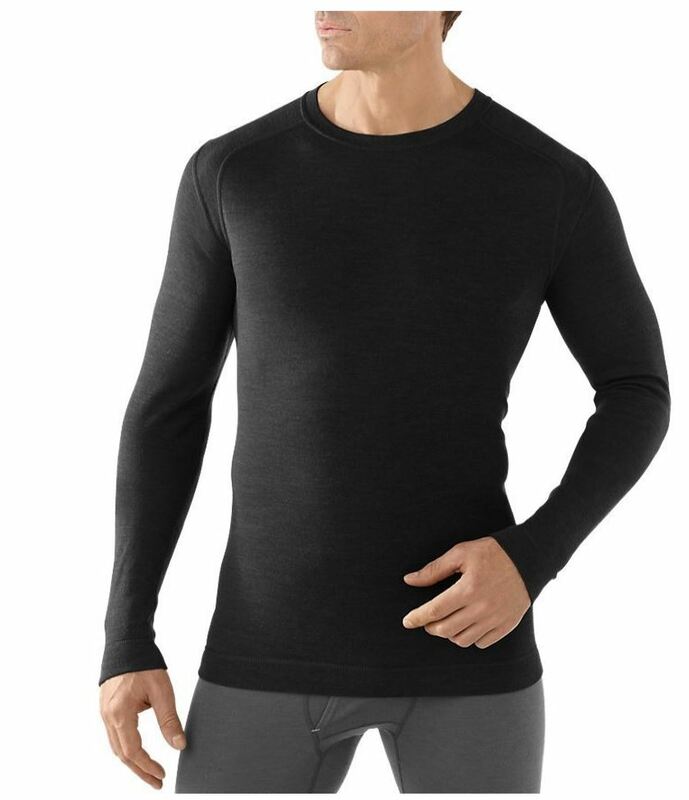 Added features on this base layer include a crew neck with set-in sleeves and an interlock knit. • It’s made of 100 percent merino wool. • The crew wicks moisture. • The seams are well stitched. • It is comfortable and warm. • It is too expensive for some users. This item is meant for men hunters that are looking for a highly-priced base layer. Have you been looking for a warm, affordable, winter gear to wear during your hunting trips but you just can’t settle on an item? If you have, you might want to check out the Tesla Men’s Thermal Wintergear. This is a high-quality base layer designed with a fleece lining. It is made of 87 percent polyester and 13 percent spandex. 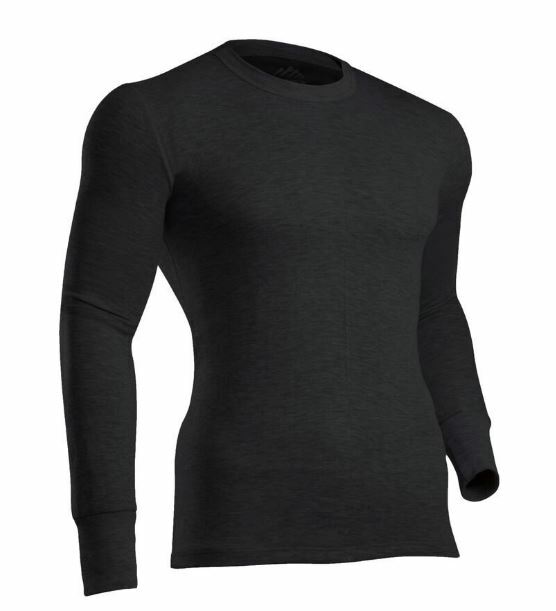 These materials offer this thermal shirt a superb elasticity and an improved range of motion. If you choose to go with this shirt, we advise that you get one size up of your ordinary clothing. One of its outstanding qualities is its moisture sensing capabilities, two-way air circulation, and its quick time dry. • It offers several color options to choose from. • It has excellent elasticity. • It protects your skin from harmful UV rays. • The fleece lining prevents rashes and chafing. • Its size is too small. • It is too tight. It is ideal for outdoor enthusiasts looking for warm winter gear on a tight budget. Hunting is a sport that requires accessorizing. If you are hunting in the winter, it would do you good to have the best base layer such as the MERIWOOL men’s Merino Wool. This base layer is made from 100 percent 18.5-micron Merino wool, which is soft enough to provide you with the ultimate comfort. Interestingly, this long sleeve shirt is easy to care for because it is machine washable and it can be dry-cleaned. It features an interlock-knit to make it more breathable for enhanced comfort. Moreover, the base layer can wick moisture and it is odor-resistant. Moreover, the wool has anti-bacterial capabilities to keep you feeling comfortable throughout the hunt. It also has a 30 days refund and a 1-year limited manufacturer’s warranty. • It is made from high-quality wool. • It has moisture wicking capabilities. • It is resistant to odors and has anti-bacterial properties. • The crew is easy to care for. 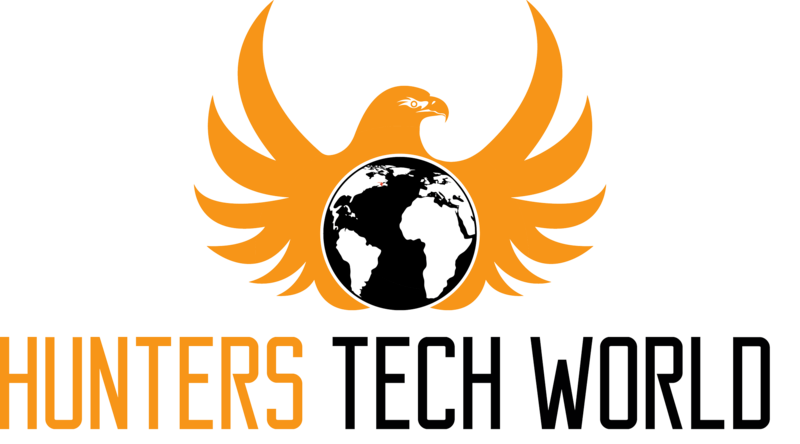 • It includes a 1-year warranty. • It may shrink after washing. It is great for hunters looking for an easy-to-care-for warm clothing that is in the mid-price range. Tesla is at it again with the best base layer for cold weather hunting. So, if you are embarking on your hunting escapades when winter comes, you might consider getting the Tesla Blank Men's Microfiber MHS100. This base layer is light, a factor that adds up to its style and function. It also has color options that enhance its stylish design. Its design also features high-density elastic fabrics that enhance its comfort and durability. You can wear it from one winter season to the next without it losing shape. Moreover, it has a heat-fit design and moisture wicking capabilities. Its elasticity delivers excellent mobility and unrestricted movement. This base layer is made of 92 percent ultra-soft microfiber and 8 percent spandex. It has a fleece-lined setting. • It is a suitable thermal gear. • Its ultra-soft microfiber clings to the skin comfortably. • It is available at a good price. • It is made of high-quality materials. • You may need to order one size up what you normally wear. It is ideal for individuals looking for a soft base layer gear that is economically priced. Keeping warm as you hunt during the winter does not only include your upper body. You also need to keep your lower body warm with the ColdPruf Men's Platinum II Performance Base Layer Pant. This is a high quality base layer whose insides are made of polyester and Merino wool to provide you with ultimate comfort. This pair also includes a dual-layer insulation system that helps to trap warm air between the layers. 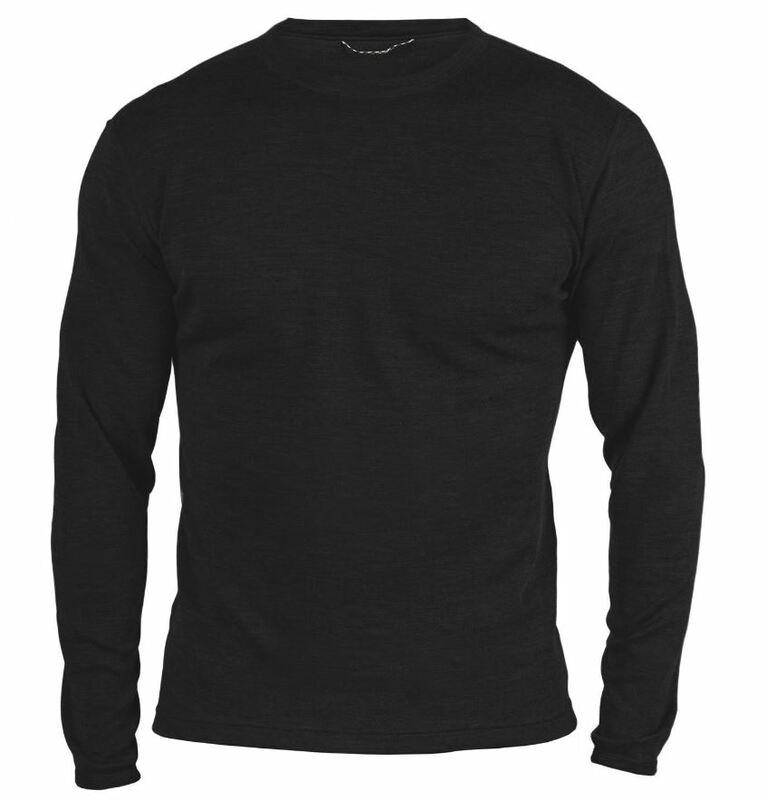 The Polyester and Merino wool blend are ideal for fast drying and warmth. They also have extraordinary moisture management. It also features performance polyester with Silvadur intelligent freshness. Moreover, it has a comfortable waistband that holds the pants in position as you maneuver the hunting grounds. This base layer pant is tagless to deliver the desired comfort by preventing chafing. Its design also features flatlock seams and front and back Gussets that follow your body’s contours. • They are comfortable and warm. • The pants have excellent stitching. • They are easy to wash and dry even in low heat settings. • The pants are quite affordable. • The cuffs are tight, which may give people with thick ankles and big feet trouble when getting them off. It is best suited for someone working on a tight budget, and those with small feet. Nothing beats hunting in the winter like keeping warm and safe from the extreme weather. If you don’t own any thermal gear yet but you want to go hunting the next winter, you could equip yourself with this long sleeve base layer. This item is designed with a blend of Merino wool and polyester that is best suited for moisture management, quick drying, and warmth. Getting this gear is a step closer to comfortable hunting. With it, you only worry about your prey, and not the cold. At an affordable price, this base layer has a dual-layer insulation system that traps warm air between the layers. Moreover, it has Silvadur intelligent freshness technology that enhances its odor resistance qualities. It also has flatlock seams and a tagless design for enhanced comfort. What’s more, it has a dropped tail and comfort ribbed cuffs. • It is warm and comfortable. • It is worth the money. • It is made of high quality materials. • It maintains color even after a number of washes. • The cuffs are too tight. It is good for hunters that like running when chasing their prey. This is an ideal base layer for cold weather hunting that comes in a set. You can choose to either purchase the top only or the bottom only if you don’t want the full set. It is an excellent thermal gear made of premium silky soft fleece lining, which provides you with desired warmth in the winter and extra comfort. Its four-way stretch compression is suitable for flexible movement. It also keeps your body looking slimmer. This base layer is high quality and is lightweight. Besides keeping you warm, it also has moisture wicking capabilities. • It features high-quality construction. • It is a great fit. • It is an excellent thermal gear. • The set gives you value for your money. • Washing instructions are in a foreign language. It is ideal for hunters looking for a full set of thermal underwear to keep warm during the hunt. 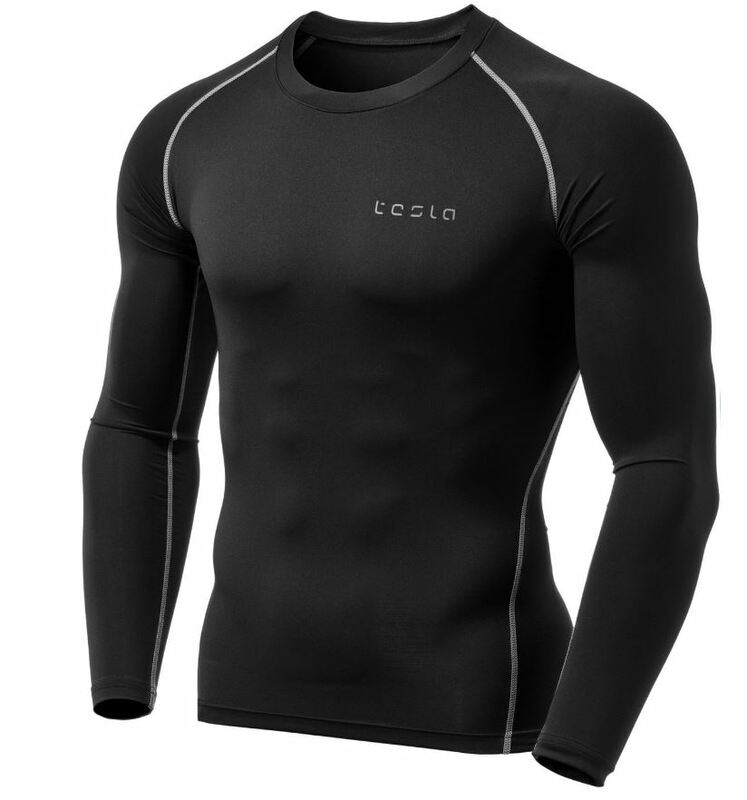 This base layer is designed for use in extremely cold conditions. With it, you will not worry about getting cold even when it is snowing heavily. This item is designed with 100 percent 18.5-micron Merino wool. It is heavy, a factor that allows it to function well even when it is freezing below 0◦. It is also comfortable, and it wicks moisture from your body. It includes 3-inch cuffs and temperate thumbholes that enhance their warmth. The Merino wool renders it ultra-soft and durable. Moreover, it does not shrink or stretch when machine-washed or dry-cleaned. • The base layer is soft and comfortable. • It is suitable for extreme cold. • The base layer does not shrink or stretch when washed. • It is super warm. • It is machine washable. • The thumb holes aren’t very comfortable. It is great for hunters that hunt in areas with extreme cold and those looking for an ultra-soft base layer without minding its price. I. Durability – hunting is an engaging task that requires you to have durable gear that you can wear for several seasons. Ensure the base layer you get is quite durable. II. Breathability – a base layer is supposed to be breathable to ensure that you are comfortable throughout your hunting escapades. During the cold hunting season, a well-ventilated base layer will help retain your body heat. III. Material – winter seasons are extremely cold. Therefore, the base layer you get should be made of a material that can keep you warm. 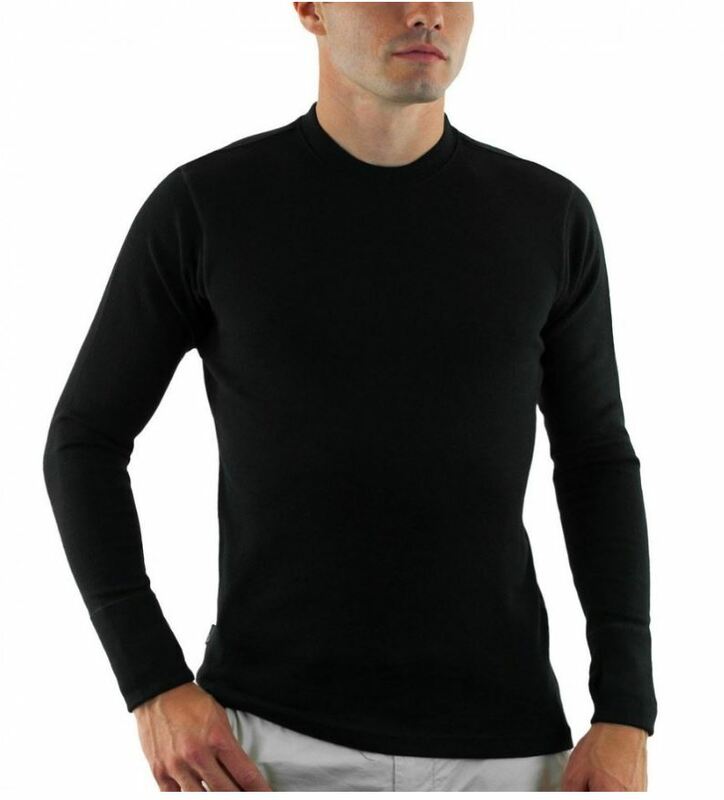 During the winter, it is advisable to go for a base layer that is made of Merino wool. A base layer made from merino wool will keep you warm. It is also ideal for moisture wicking. IV. Type – there are different types of base layers. The categories include top base layers and second base layers. These categories are further classified into short sleeve, top base layer with hood, long sleeve, and zippered styles. Hunting in the winter requires you to choose a base layer that will cover you well for extra warmth. V. Weight – you will find lightweight and heavyweight base layers in the market. The former are more comfortable while the latter offer more layers. When hunting in the cold season, it is advisable to go with the heavier base layers. VI. Budget limits – every base layer costs differently, and you need to buy a high-quality item that is within your set budget. Don't forget to budget items like hunting socks and other hunting gear. When hunting in the winter, temperatures can get uncomfortably low. As a result, you need to wear a thermal gear, such as a base layer, to optimize your comfort. We have listed the best base layers for cold weather hunting to ensure that you are comfortable in your next hunting adventure in the cold.